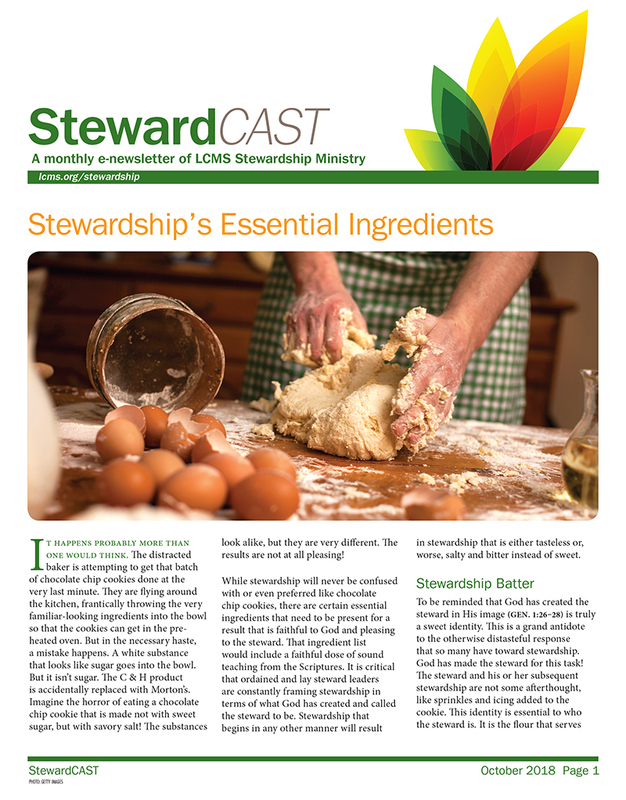 In the October 2018 issue of StewardCAST, LCMS Stewardship focuses on the necessary ingredients for a result that is faithful to God and pleasing to the steward. The essential ingredients include a faithful dose of sound scriptural teaching and humility. It is in the created identity of the steward that true humility is added to the stewardship mix. It is truly humbling for the steward to embrace the reality that nothing is owned by the steward. Whoever made everything can rightly be called God. For those who have not made everything, there is only one task: stewardship.